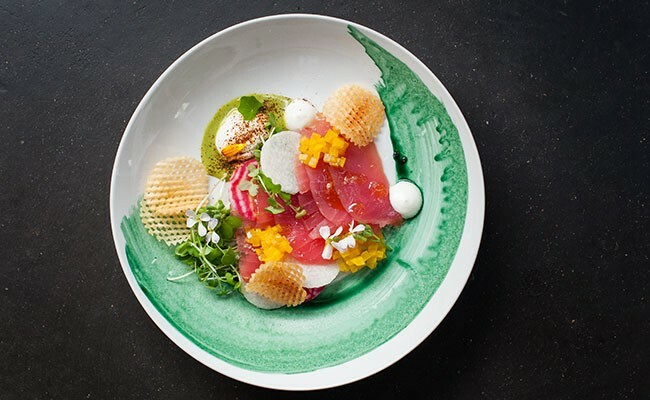 "You cook with all of your senses," says Brooklyn Warehouse chef Stephanie Ogilvie. 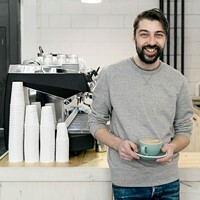 "I want people to be able to connect and engage with that." Tuna crudo with pickled yellow beet, jicama, sweet and sour dill, black garlic labneh, cured yolk and gaufrette potato. 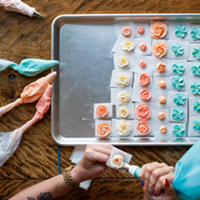 Stephanie Ogilvie—a petite, soft-spoken redhead with piercing blue eyes—is a chef. When most kids weren't even allowed in the kitchen, she was already making meals for her family and watching Julia Child on television. 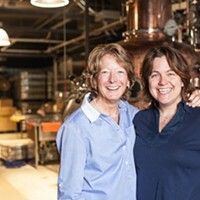 Being a chef, Ogilvie says, "is pretty all consuming—if we're not two steps ahead, we're three steps behind," which keeps her motivated to read more cookbooks, try new techniques and dig for inspiration in the talented community around her. 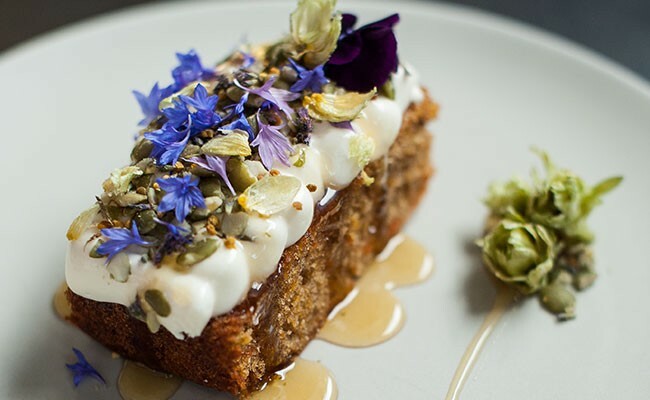 Carrot cake with candied hops, lavender goat cheese icing, burnt honey, bee pollen and pumpkin seeds. 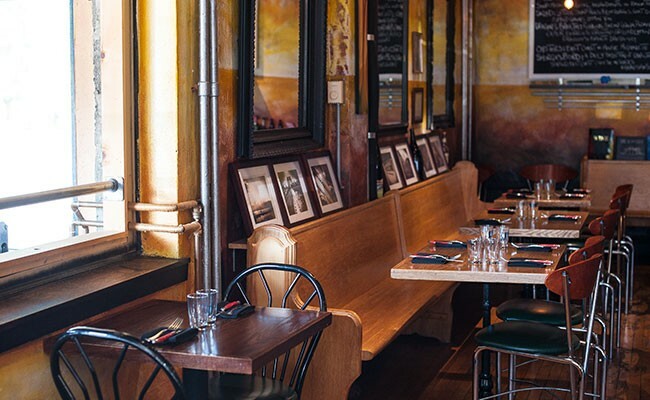 Ogilvie is the leader at mid-sized neighbourhood restaurant Brooklyn Warehouse. The atmosphere is casual; her food, ingredients and plating might be what you'd expect from a fine dining restaurant. A truly seasonal and local menu makes it so that she's always on her toes. The chalkboards on the restaurant walls sometimes change daily. If Ogilvie runs out of an ingredient, or a product becomes out of season, that plate is changing, which requires her to spend time—sometimes even between services and late at night—planning for the next day. 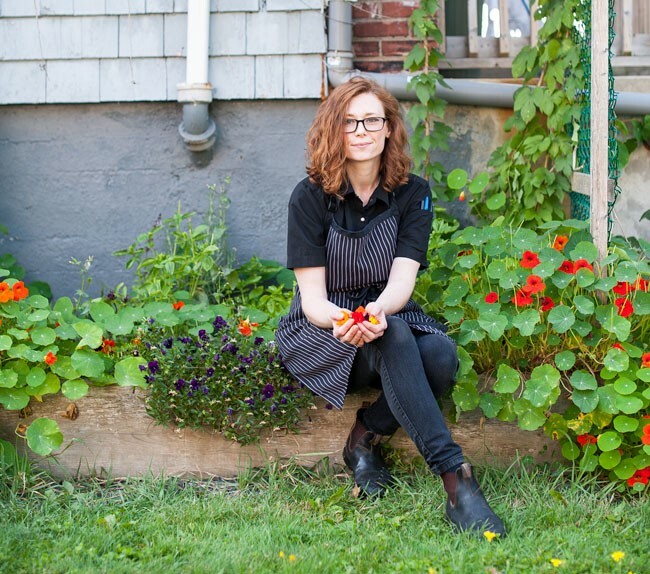 Also, Oglivie and her partner and sous-chef Brock Unger grow most of the edible flowers in the restaurant's small garden: Nasturtium, violets, hops and borage brighten up her plates. She says the most challenging aspect of the career is "coming up with new and creative menu items every night." It's a responsibility she has to herself, but also to make it exciting for her cooks and for the diners. 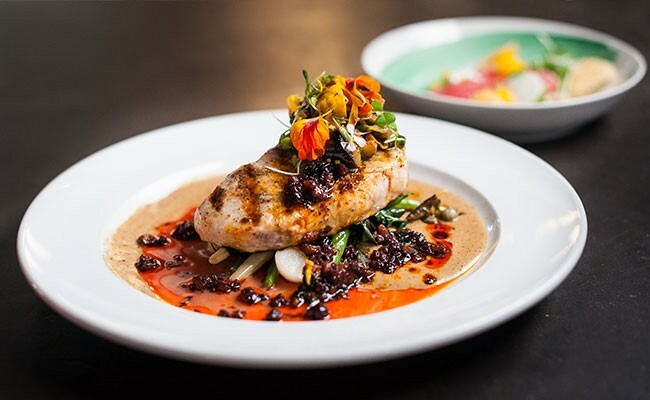 Grilled NS swordfish, caramelized cauliflower puree, garden tomato and zucchini caponata, warm chorizo vin and black currant. Her parents pushed her to find a career she loved, so she turned down the university acceptance letters in favour of the Culinary Institute of Canada, in Charlottetown. But it's in Toronto that she honed her skills. She worked at famed Canadian restaurants like George, Ultra Supper Club and Canoe. It wasn't just working under some of Canada's biggest talents that helped her grow, but also the multicultural influence around her. Eating out or cooking meals with her co-workers and experiencing authentic flavours from other culinary backgrounds, like late-night dim sum, were integral to her understanding of flavour. 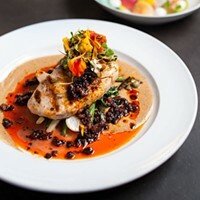 The atmosphere at Brooklyn Warehouse is casual, but Ogilvie's ingredients and plating suggest a fine dining restaurant. The best part of Ogilvie's day is in the afternoon, just before service, when every station is ready and she might have a moment to breathe, plate a dish for herself to photograph (on Instagram @stepho_21) and experience how the flavours come together. She likes to see plates come back clean, and when the diners are intrigued, ask questions or can't put their finger on a flavour. "You cook with all of your senses, and I want people to be able to connect and engage with that," she says. As for the next step, it's simple: "Every season is exciting, because there are new challenges, and you have to do the food justice that's in season." Halifax Distilling Co. brings a waterfront building to life with small-batch rum that’ll give the Captain a run for his money. Meet Halifax’s “knife man”. 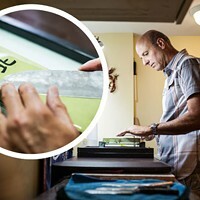 He sharpens the tools of the cities finest chefs and everyday home-cooks using Japanese water stones.